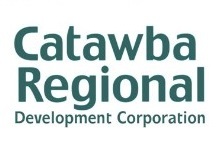 In August 2016, the U.S. Economic Development Administration (EDA) awarded Catawba Regional grant funding of $1,040,000 to start an agribusiness revolving loan fund. Loans will be available to family farmers, agribusinesses, and aquaculture companies in 32 counties across the state. The South Carolina Agribusiness Loan Fund (SC ALF) is the newest addition to Catawba Regional’s economic development lending programs. Click here to view SC ALF flyer.